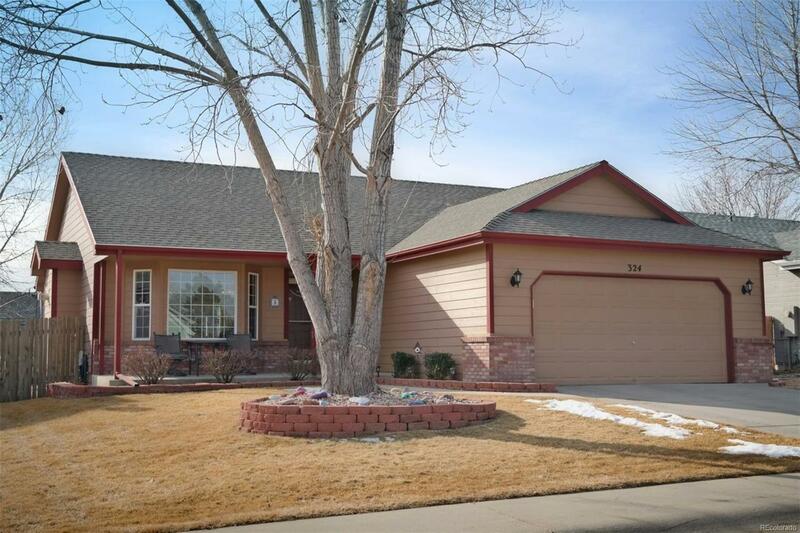 Inviting ranch w/pleasant & sunny floorplan! Home has 3 bedrooms & 2 baths on main level & finished basement w/study or 4th bedroom, large rec room w/newer carpet & full bath. Attractive finishes: vaulted ceiling; custom woodwork, beam, built-ins, cabinet detail; kitchen granite, newer stainless appliances, pantry; easy maintenance floors up & down. Large 2 car garage w/built-in workbench. Comfortable rear patio & backyard w/sprinkler system. Close to shopping, city park, library & future YMCA.